Newly built condo building in Telluride with four luxury condos alongside tranquil Cornet Creek. Short walk to downtown Telluride. 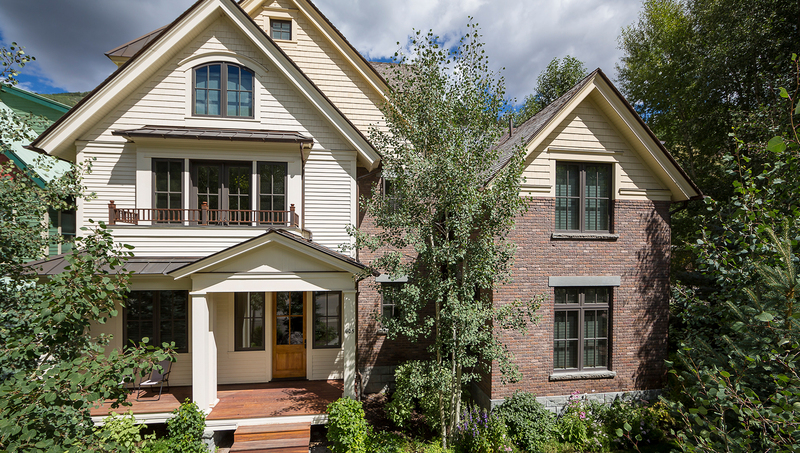 Creekside C is a luxurious three-bedroom townhome located on the edge of Cornet Creek in Historic Telluride. With custom woodwork, professionally designed interiors and an unsurpassed attention to detail throughout, this residence will meet the standards of those travelers that demand the best in everything. Creekside C is located on Telluride's Main Street, just 2 blocks from the commercial center of Telluride. Walking through the front door of Creekside C you are immediately welcomed by a long hallway with sophisticated wood floors that carry throughout the first floor of the home which features an open design. The kitchen features Wolf, Sub-Zero and Asko appliances and is equipped with everything an amateur chef could desire. The comfortable living room has a contemporary gas fireplace, a large flat screen TV and windows that bring the outdoors inside. The dining room table can accommodate up to 8 people and is a highlight of the home, with distinctive art pieces, unique lighting and French doors that lead to an inviting patio by the creek. A convenient half-bath and a second entry from the attached one-car garage complete this level. Up one level brings you to the Swiss-inspired bunk room with en suite bath, a flat screen TV and games for the kids. The bedding consists of a Double bunk and a Twin bunk. The private laundry is located in the hallway just outside the door. On the other side of the second level of the residence is the Master Suite, with a King bed, flat screen TV and views of the Telluride Box Canyon. 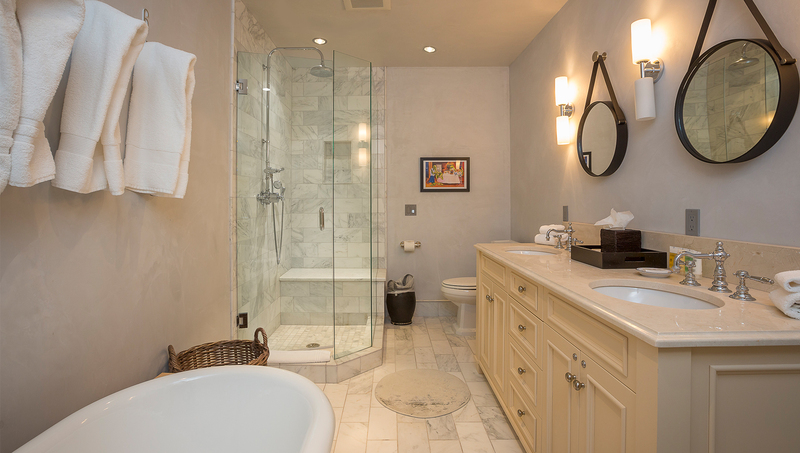 The Master Bath boasts an oversized soaking tub and a spacious steam shower. The third level of the home hold the Guest Master, with a Queen bed, more stunning views, a flat screen TV and en suite featuring a standup shower and separate tub. Creekside C has Wireless Internet and a Sonos sound system. The attached garage can hold one vehicle while one extra parking space is available around the corner in a private lot. Guests who enjoy all of life's creature comforts from a convenient in-town location will appreciate this uniquely stunning residence.